London has always been the undisputed capital of the European art market. Although experts warned of market uncertainty if Britain was to leave the EU, last Thursday's referendum saw 52% of the population vote to leave. A week on from the results, we uncover what is behind the veil of uncertainty thrown on the art industry. The fall of sterling after the announcement of the leave vote was a surprise to no one. Short term, this decline will benefit the UK, as art and antiques will be more attractive to foreign buyers. Contemporary art sales at Phillips, Christie's and Sotheby's, held in London a few days after the referendum, confirmed this predicted trend. 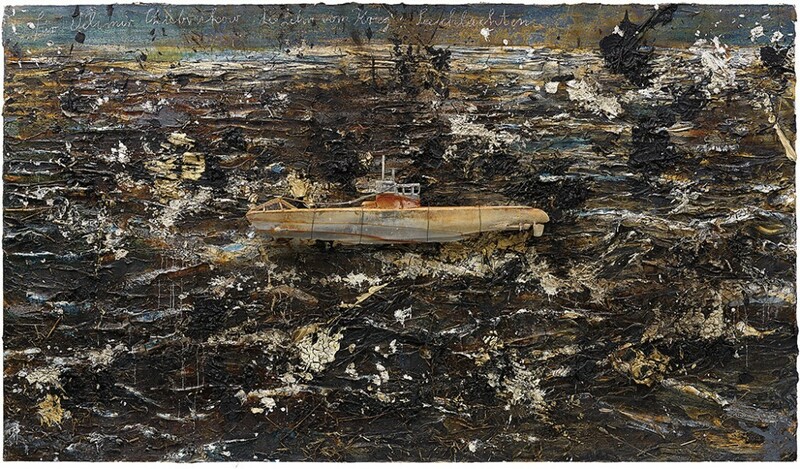 Phillips was the first to jump head first into the unknown with their evening sale, which recorded a satisfactory result of $15 672 360, led by Anselm Kiefer's Velimir Khlebnikov For; The doctrine of War; Battles, (2004-2010), which sold for $3.28 million. Despite ten unsold lots and a slightly lower result compared to their sales in June 2015, Phillips is doing rather well in the uncertain atmosphere of Brexit. "This has no doubt helped sales," commented the CEO of Phillips Edward Dolman. "The conversion of the pound dollar is the day of the sale, and the US and Asian buyers have earned between 10 and 15% on their purchases. Tonight, the fall of the pound has encouraged foreign buyers." The same could be said for Sotheby's and Christie's sales, with both of their contemporary art sales receiving excellent results. At Christie's on June 29, their contemporary sale reached a solid result of $52 820 610. Two works by Jean-Michel Basquiat were the stars of the sale, purchased by Johnny Depp, at $4 745 258 for Self-portrait and $6 838 5381 for Pork. As for Sotheby's, their evening sale totalling $69 million has clearly softened the blow of the immediate impact of Brexit on the art market. 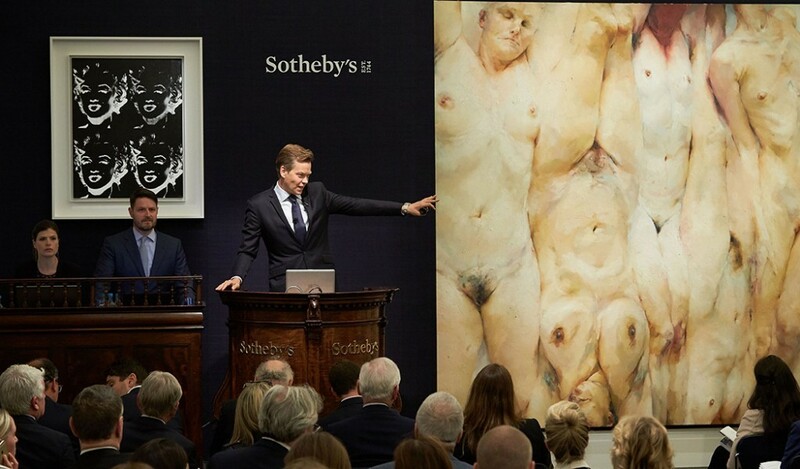 The unexpected record set on the night for Jenny Saville's Shift was met with a roar of applause in the New Bond Street sale room. The art fairs taking place in London this week will be another important test. Masterpiece, the first of the big fairs to take place after Brexit, will be a strong indicator of the future of buying habits in the U.K. Although the immediate impact seems positive on the art market, it is more difficult to judge what will happen in the long term. Today, experts are anxious about the decline of artworks offered in the U.K. market due to the drop in the pound. Once June and July have passed, sellers may desert English soil for another European art market. "Nobody is going to want to sell in the UK, with the pound so weak," commented J. Tomilson Hill, art collector and vice chairman of Blackstone Group. "The offer will run out of steam, especially on the market of ancient art, "he analyzes. A lot also depends on the conditions under which the EU will negotiate new regulations between the EU and the U.K. concerning trade. The prospect of taxes on imported consignments from the European Union could deter sellers and buyers from Britain. For example, if art is included under the import tax (set at 5%), this could have major consequences on the sale of art. Today, many works sold in the U.K. come from European countries. These tax changes may well push the vendors to relocate their sales to another European city. Michel Santi, an economist, is particularly pessimistic: "Inevitably, taxes and fees will be increased, forcing the major art collectors to leave Britain to avoid being caught in this fiscal storm Suddenly, Britain. suffer a bleeding artworks currently finding refuge there, accentuated by a departure of some treasures from the same national museums which would be reduced to pay their visitors to meet their increasing costs. " Is art a safe bet in times of economic uncertainty? London gallerist Pilar Ordovas, founder of Gallery Ordovas, remains optimistic about the prevailing uncertainty: "The art market is international, and even if there will be a period of uncertainty, collectors continue to collect . " It is true that if we look back, in 1991 or 2008 with the bankruptcy of Lehman Brothers, the art sector remained unscathed from any economic crises. When the financial sector is in turmoil, the art has instead always proved as a safe and stable investment. Pontus Silfverstolpe, is optimistic about the stability of the sector: "Most great art collectors are international, they do not come from the U.K. With the pound so weak, they will see English soil as an attractive buying ground, which will support the market. " 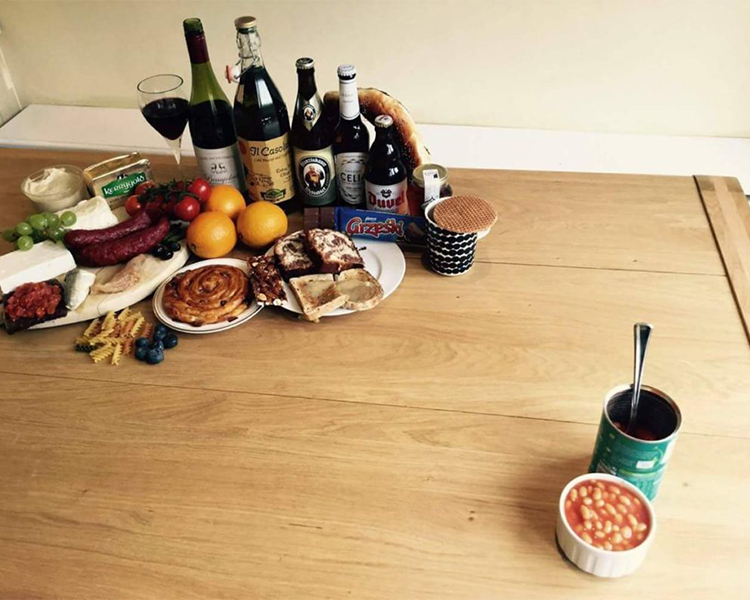 Any changes brought about by Brexit will not be evident for several months or even years. And when the time for change does come, market players seem ready to face the unknown. "Once the political process become clearer, we will align our activities and operations with the new legislative framework," commented Catherine Mansons of Christie's. "We are used to adapt to the political, legal and cultural issues that are constantly changing. Our years of experience have shown us that collectors continue to collect."